I received a copy of Leon Book 2 to review in the post the other week and am only just getting round to sharing it now. Shame on me, because it definitely something to shout about. 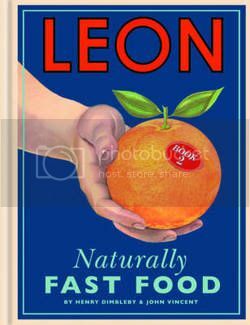 If you have ever been to one of the Leon restaurants in London you will know that their slogan is 'naturally fast food' and you will also know that their food is pretty good. Well, with their second cookbook published there is no excuse not to try some of it at home should you not find yourself anywhere near London. I love the look of the book. It's full of not only great recipes, but also handy tips, great quirky images and graphics and some lovely anecdotes. In short, it's my kind of cookbook. 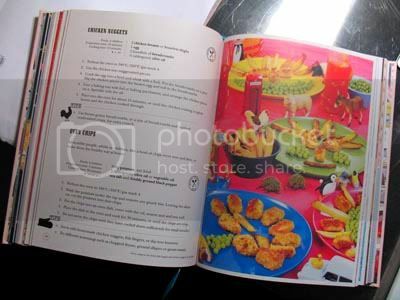 The first half of the book is full of 'fast food', with recipes that take no more then 20 minutes to make. The second half is all about 'slow fast food' with recipes that can be made ahead and finished quickly when you need them. And even though it's all about 'fast' food, at the same time it's about quality, freshness, sustainability and seasonal produce. I have earmarked plenty of recipes to try and can't wait to get cooking! So look out for some of those to follow shortly. The book is published by Octopus Publishing and is £20 RRP.